Portishead are part of a Bristolian bass lineage that also includes Massive Attack, Tricky, the Wild Bunch and Smith & Mighty, who, between them, stirred up groove cauldrons of Hip Hop, Funk, Electro, Soul, Jazz, Dub and Lovers Rock, with a pinch of Punk thrown in for good measure, distilling a unique British flavour that could only have come from this city. Mixmag would eventually coin the term Trip Hop to describe Bristol’s new musical styles, but this catchy tag would never sit well with those who made the tunes. Dub Hop would have perhaps been a more appropriate word coupling, for Bristol fused Hip Hop and Reggae like no other UK city. 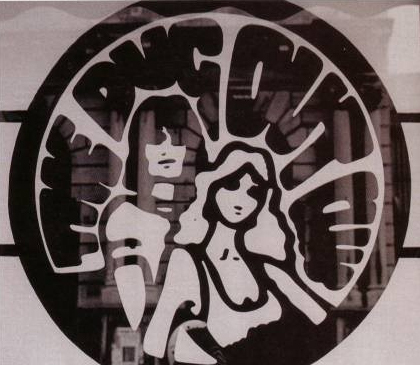 In both the North and the South of the England, Reggae, on the one hand, and Soul / Funk, on the other, were opposite sides of the black music coin – people might like both, but they were usually played on separate nights, especially at the cutting edge of the black scene. Bristol was tucked away from everywhere else – you could keep up to date regarding what was happening in London / the South, and black scene strongholds North of Watford (like Manchester, Birmingham, Nottingham, Sheffield, Leeds etc) via Blues & Soul and Black Echoes, but Bristol was rarely mentioned and most people elsewhere had no idea what had been fermenting there until the mid-’80s when the Wild Bunch, the Sound System DJs who originally made their name at The Dug Out, the club at the heart of this West Country movement, began to gain kudos from London’s dance underground, not least Nellee Hooper, who’d become one of Britain’s most innovative producers of the late ’80s / ’90s, working, most notably, with Soul II Soul, Massive Attack and Björk. Bristol would also encompass a number of hugely respected graffiti writers, creating the environment from which the city’s now world renowned street artist, Banksy, would thrive. 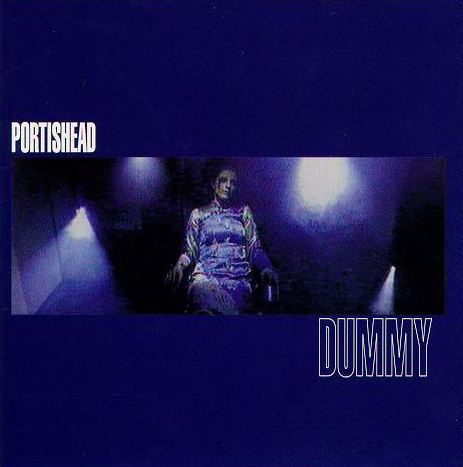 Named after a coastal town near to Bristol, Portishead would go all the way to #2 on the UK album chart with ‘Dummy’, which would spawn 3 memorably haunting singles, ‘Numb’, ‘Glory Box’ and ‘Sour Times’. Their music was described back then as the aural equivalent of film noir, Beth Gibbons often angst-ridden lyrics and beautifully tortured vocal set perfectly against the moody soundscapes created by DJ / producer Geoff Barrett, who’d previously assisted on Massive Attack’s classic ‘Blue Lines’ LP, and co-producer, Northampton born Adrian Utley, who played guitar, bass and keyboards. Utley’s background as a veteran of cabaret venues and holiday camps certainly added an unusual sonic twist to their style, which helped set them apart as different to anyone who’s come before, or since for that matter. The chemistry between the 3, and engineer Dave McDonald, was irresistible, and ‘Dummy’ was not only the soundtrack for many an end of night chill out, but also became the album of choice for the dinner parties of a more upwardly mobile audience. With the wave of acclaim it garnered, it was little surprise that ‘Dummy’ picked up the Mercury Music award in ‘95. I really love track 10 and i quite like track 2, but the rest of this album, just does nothing for me. I like some of the loops, but generally I couldn’t wait for the tracks to end. Dribbly, weak women’s voices and tracks that go nowhere. Sorry guys. It is an album and sound that didn’t inspire me back then and still doesn’t today. I did say I thought i should sit this one out. I was right. I bought this album many years ago and hadn’t played it in ages. When I opened the CD case I found a post-it note inside with “1,2,6,10” written on it. I remembered that these were the track numbers I’d programme the stereo to play, as I wasn’t very keen on the rest of the album; I guess like the poster above I thought these other tracks ‘went on a bit’. So this LTM session made me give the album as whole a proper listen for the first time in years and it really paid off. Maybe it helped that I’d decided to listen with headphones while tucked up in bed, but I enjoyed it much more than I ever had in the past. How could I have overlooked these other gems? The cheeky riff of ‘Wandering Star’, the absolute ache of ‘Roads’? OK, ‘Strangers’ and ‘Pedestal’ still aren’t that great, but overall Dummy is a beautiful piece of work and I’m very glad I had the opportunity to give it another chance. The post-it note is in the bin. Thanks Greg! I enjoyed revisiting this album in the company of some good friends on Sunday. I’ve always loved the dub sensibilities and the sensual quality of Beth Gibbon’s voice. Somebody commented in our group that this is a woman’s album. Not sure I agree with that. The songs are very feminine yet they are juxtaposed against a hip hop production which for the larger part has mainly been seen as a male preserve. I like it for that and the moodiness it conveys. I can’t agree with Lec here that the vocals are dribbly and weak. I find her voice controlled and playful though sometimes the sheer weight/ heaviness of the tracks can slightly over-whelm the vocals I feel. I think its great that Lec has taken part in this though, despite not having much affection for the album. It’s interesting to hear honest critique and would be boring if everyone just agreed that everything was fab! Well in, Lec! It’s easy to actively listen to something you know you like. Not so easy when you don’t. Good on you for going with the challenge. My post-it note goes: Tracks 1,2,3,7,10. For me these five tracks are just fabulous masterpieces! Sweet, melodic, emotional, melancholic music that was a key ingredient to my teenage,1990s-life soundtrack; a time spent discovering Ninja Tune, Mo Wax, Massive Attack, Attica Blues, DJ Shadow, Leftfield, Orbital, FSOL etc… Serious music & happy days! These five tracks successfully combine Beth Gibbons’ amazing voice with the music – strings, samples, beats etc. As for the other five tracks not listed on my post-it note… I’ve unceremoniously deleted them from my iTunes library. They just don’t work for me, they never did. This is the problem I still have with physical formats, and why I love digital. Both from a DJing and listening point of view. Saying that, my ‘Portishead Roseland NYC’ LP is a treasured possession. Album-wise I’ve always found Portishead to be a personal listening experience, I don’t think it’s very conducive to a social gathering. The idea of it being dinner party music makes me cringe. An album like this is bound to split opinion. For some, it’s far too doom and gloom for their liking (I have heard ‘Dummy’ described as ‘music to commit suicide to’), whilst for others it helps put them in touch with their deeper, perhaps darker, self – levelling them out. Personally, I enjoy a wide spectrum of music, reflecting all the various moods that life throws up, from the dark to the euphoric. A whole album on a ‘down vibe’ can be a bit of an ordeal if that’s how it affects you, so it doesn’t surprise me that, for some people, half the tracks are enough. This is a great album for levelling you out, in the same way that ‘Apocalypse Now’ is a great film for this – so rather than bring me down, it hollows me out somewhat, allowing fresh energies to come in, which brings its own positive benefits. The ‘dub hop’ feel is deep and addictive, whilst the banshee like qualities of Beth Gibbons’ vocal comes from some folkloric otherworld – the overall aural experience is certainly disquieting. This density is relentless, not letting up until the album has ended – there’s no interlude, nowhere it lightens up in its intensity. It’s definitely an album that re-sets your vibrations. Greg what a great way to describe this album. i did find it difficult to listen to in a group environment. Its an album that I would always listen to in solitude never finding it depressing but more cathartic. i adore the dub side to it and the way to me it constantly slithers and creeps along. very atmospheric, I even bought it for my daughter as a recommendation and guess what.. she loves it. Well i popped my Living To Music cherry as a first timer….such a beautiful idea. I was not sure how it would be, a group of people sitting together listening to music and not talking and guess what…..I loved it….I remember as a teenager sitting with my mates listening to the albums we brought as they first came out….queuing from dawn to be the first to get them and then listening to them over and over. I am always doing something when listening to music….even singing and dancing…..so am definitely going to do more just sitting and listening. I’m usually pretty good at pinpointing when stuff came out from memory, but i was surprised to be reminded that this came out as early as ’94. I’ll be honest, it sounded like it came from a different planet to me at the time. I didn’t really have a frame of reference for the dark, vintage-sounding (despite or because of its heavy sampling) torch-style vibe. It wasn’t really till I started uni down south in 96 that I started to appreciate stuff like this more – the atmospherics, the grinding beats, and the retro-kitsch elements like the theremin. Despite the latter- it STILL sounds like the mid-90s to me! It sounds like the soundtrack to the darkside Austin Powers – actually; “film noir”, as Greg says it best. I loved the big singles at the time – Glory Box & Sour Times – I’m actually staggered that these were released as early as they were…though I remember they did feature in a talk I did in school on dance music subgenres…Like with Rumours, I have to say this album doesn’t hold a huge amount of resonance for me – I was kind of aware of its significance, but I just didn’t find it as accessible/didn’t have the cultural reference points..as more traditional Bristolian fayre such as Massive Attack (I didn’t get Tricky for ages either, although, to be sure, I pretended to). Now though, listening again, it’s another fantastic production lesson, in a kind-of “boutique” style – it is a dark album, for sure, but I was into Faith & Devotion-era Depeche Mode a year before this came out, so….it’s all relative! Very atmospheric and technically superb. I enjoyed the third track (I think it was) for the jazzy chords which featured on the track. Very original album.and immediately recognisable style which would leave you in no doubt who the band was if you happened to turn the radio on, or wander into the room mid way through any of the tracks (not that I did this Greg on the LTM session). I’d forgotten how much i loved this album. I was convinced i hadn’t heard it all but it transported me right back to the time i was living with my friend’s nicky and nicky in oxton. One of the best times in my life! So i spent the entire listening smiling broadly and enjoyed every minute. I find it a wonderfully chilled relaxing album and have been playing it since just to chill down at the end of long work days. One of the best albums of all time! !